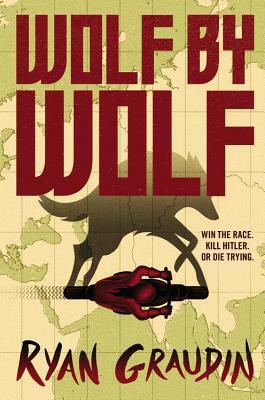 Annotation: In a world where Nazi Germany has won the war, Yael’s mission is to kill Hitler – by taking the identity of victor Adele Wolfe and winning a motorcycle race around the globe. Can she do it? Plot Summary: A first book of a duology – the story follows Yael, an escapee from the Nazi death camps forever changed by their experimentation. The Axis Powers have won the war and to commemorate their great victory, they implemented an annual global motorcycle race from Europe to Asia. Victors win honor for their countries and most importantly, an audience with Adolf Hitler at the Victor’s Ball. Yael’s mission is to impersonate Adele Wolfe, the only female victor of the race, win it and kill Hitler while the world is watching. Only Yael can do this because of her powers as a shapeshifter, the results of the Nazi experimentation on her as a child. However, what she didn’t plan for is Adele’s twin brother or her former love interest watching her every move. But as she grows closer to the people in Adele’s life, can she be ruthless enough to win this race and murder Hitler? Critical Evaluation: Before I begin the review, I do want to state that I am reviewing a copy of the advanced reader and not the finished book. Having read Graudin’s last book, The Walled City, I expected nothing less than a page turner. Boy, did she deliver! Part alternative history, part spy thriller, and part coming of age, Yael’s story is one that teens would devour. Even the ones that are not a fan of history because the main focus is Yael and the motorcycle race. Despite that, Graduin’s world building is on-point with heartbreaking descriptions of the death camps and the Nazi experimentations. By interspersing Yael’s flashbacks to the camp with the present storyline of the race, Graduin slowly reveals Yael’s backstory and her mysterious powers. A compelling character, Graduin’s infuses the story with deeper questions about Yael’s struggle for identity. Since her experimentation happen as a child, Yael has no memory of her birth looks and constantly battles her will to lose herself in someone else’s face and life. Is she a monster? Who is she? Questions that most teens can relate to in some form or another. The only issue with this novel is the romance subplot which I found unrealistic and very unnecessary. Other than that, readers will be itching to get their hands on the sequel with Graduin’s cliffhanger ending. Challenge Issues: I would point to this teen review from a 15 year old in School Library Journal that states: “This is a very entertaining novel. While quality-wise, it’s hardly the best, it’s certainly a lot of fun to read, and will fill time nicely. At times it almost feels like Battle Royale meets a road trip novel. An odd combination, but somehow, it sort of works.” Additionally, the starred review from Publisher’s Weekly. I would also mention that historical fiction especially alternative histories are a great way to introduce history to teens who may not be fans of the subject.